The quick response (QR) code is two dimensional which is similar to a barcode. The difference between QR code and barcode is that, a barcode holds information only in the horizontal direction, while a QR code can hold information both horizontally and vertically. This is the reason why QR codes are referred to as two-dimensional. The two methods are proposed to deblur and denoise the QR barcode. The contents like text, links, etc can be hidden in the QR code and those hidden contents can be read using smart phone scanners. The size of the QR code image varies depending upon the length of the texts or links. The visual quality of QR code image is improved by using the wiener filter. J Stephy Graph, P Gomathi. "Quick Response Barcode Denoising and Deblurring Using Wiener Filter." 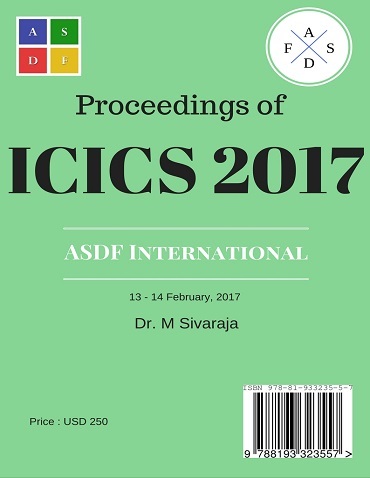 International Conference on Intelligent Computing and Systems (2017): 40. Print.